This large office block was fully converted into a residential occupancy. The external amenity space for each flat was designed to attach itself to the existing structure. 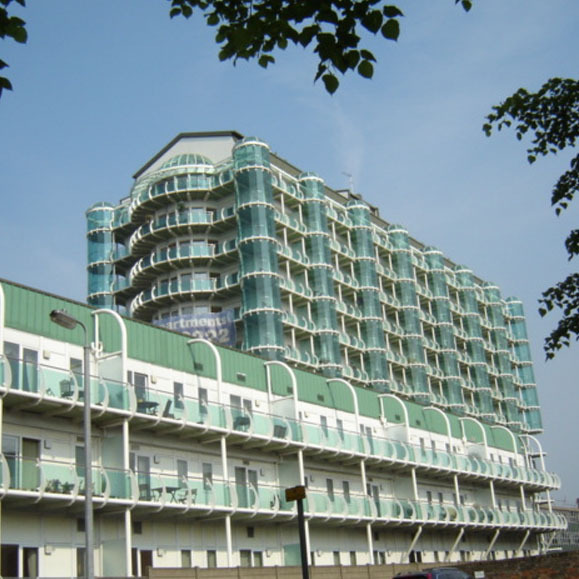 A two storey penthouse was constructed on the top floor and the rear of the building was converted into a leisure centre.